If you ever get the chance to go to South Korea, one of the most fascinating places to visit is the Cheongwadae or Blue House, the official office and residence of the president of South Korea. Located in Seoul, the building complex is known for its distinctive blue tiles. The Cheongwadae offers free tours. We strongly encourage you to submit your reservation applications at least 10 days up to 6 months in advance via email at tour@president.go.kr, and please make sure to include the followings in the application. In case there is a Korean representative or a person who speaks Korean among the group, this person may apply on behalf of the group using the on-line application form found on the Cheongwadae website. After receiving the confirmation e-mail, we ask that you arrive at the Cheongwadae Tour Information Booth located in the East Parking Lot adjacent the Gyeongbokgung palace 20 minutes before the start of the tour. Once the tour guide will check your ID with the submitted list, the group (with the tour guide on board) will then board the shuttle and proceed to the Cheongwadae. Please, bring your passport with you for ID check. Upon arrival, there will be a brief security check and you will be shown a short introductory video about the Cheongwadae. The actual tour will begin soon after the video is over. 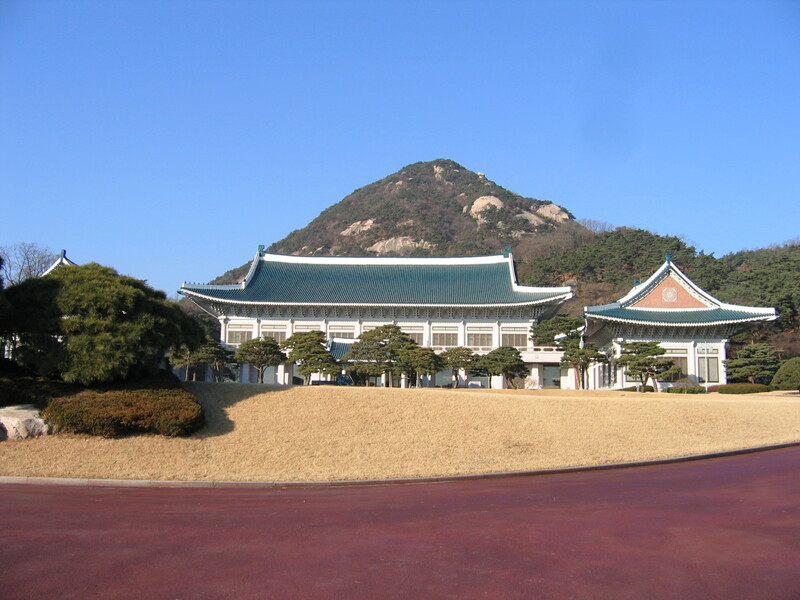 The tour will cover areas such as Nokjiwon (Green garden), the former Cheongwadae site, the main building of the Cheongwadae and Yeongbingwan (the State Guest House or banquet hall). The entire tour will take approximately 60 minutes. Interpretation services are not provided and individual tour guides are not available. Therefore, we advise you to read the tour description that is posted on our website before the tour so that you will have a better understanding. Photographs may be taken ONLY at designated locations and video cameras are prohibited. For your convenience, shuttle buses will be available to take you back to the East Parking Lot of the Gyeongbokgung palace after the tour is over. The shuttle service will be in front of the Sarangbang building which is located near the Yeongbingwan, the last stop of the tour. For more information, go to the Office of the President website.